How much is Dean Kamen Worth? 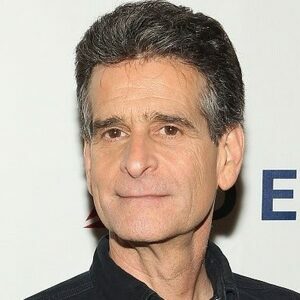 Dean Kamen net worth: Dean Kamen is an American inventor and entrepreneur who has a net worth of $500 million. Dean Kamen was born in Long Island, New York in April 1951. Kamen attended Worcester Polytechnic Institute where he spent five years doing private advanced research for drug infusion pump AutoSyringe. He invented what is now known as the Segway PT which is an electric self-balancing human transporter that uses a computer controlled gyroscopic stabilization and control system. Kamen has worked on projects attempting to generate power and a water purification system. His company DEKA is working on solar powered inventions. The company also holds patents for technology being used in portable dialysis machines and an electric wheelchair called the iBOT. They have also developed a prosthetic arm replacement called Luke. Kame founded the progrom for students called FIRST in 1989 to get them interested in science and engineering. In 1997 Kamen was elected to the National Academy of Engineering. He received the National Medal of Technology from President Clinton in 2000 and was inducted into the National Inventors Hall of Fame in 2005. He also received the Global Humanitarian Action Award from the United Nations in 2006.